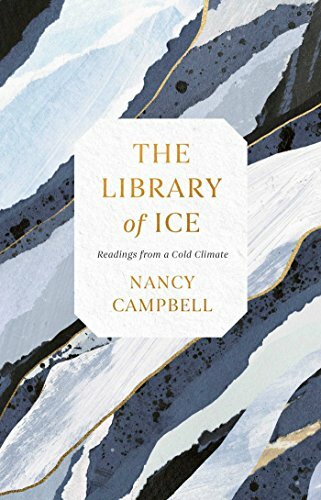 The Library of Ice, by Nancy Campbell, was immediately intriguing if not gripping maybe. Starting off in Greenland as an artist in residence at a museum in winter, Nancy starts to discover what Ice and the Arctic are to her. I find this quite a hard book to describe as reading it is an experience, a journey, that leaves a legacy with you however small that may be. It is almost a stream of consciousness essay, as long as it is ice related, at times. In general it is northern hemisphere centred and Nancy visits different parts of the Arctic or comes in contact with it via her reading or people she meets. Parts were very enjoyable. Her foray into the Antarctic via Scott in particular I found very interesting. I also got fascinating insights into things I knew nothing at all about. Her narrative on the Dalziel brothers would be a good example of that. They founded a wood engraving company and were artists in the 19th century. Nancy describes them as the “Getty Images of their day”. They supplied illustrations of the Arctic including icebergs and scenes from explorers travels without ever having been there. The more I read the more this book drew me in. Some chapters of Library of Ice worked better than others for me. For example I really enjoyed the chapter that was in general about Iceland. It wanders through time and place, legend and the mundanity of everyday life in a way I found both appealing and readable. It certainly made me want to go there! Another example would be that I’d not come across “cryophonics” but the music of ice (strictly the sounds maybe) and snow was interesting too. It really does manage to range widely across many aspects of ice. Library of Ice did feel rather slow sometimes however the writing was generally very good. This book represents seven years of Nancy’s travels – friends ask “what is it about you and cold places anyway?”. This leads to some introspection which was interesting. At times you realise that you are reading something completely different than you were a few moments ago and yet the transition has been seamless. There is a real charm to this if you don’t try and rush it. This will be likely to appeal to those who are readers of Robert Macfarlane’s work and others in that genre.